Price Description: Thur.-$20, Fri.-$25, Sat.-$27, Sun.-$23. $3 Active Military, Student & Senior Discount & Great Group Rates. Children 12 and under are half price. 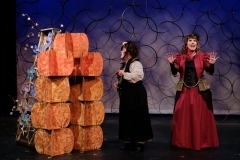 Coronado Playhouse beckons you to crawl inside the giant peach along with James and take a peek. Find yourself with James in the center of this gigantic peach with human-sized insects – each with equally over-sized proportions – like the Green Grasshopper, the gentle Ladybird, Spider, Centipede and Earthworm, and take this amazing journey across the ocean. 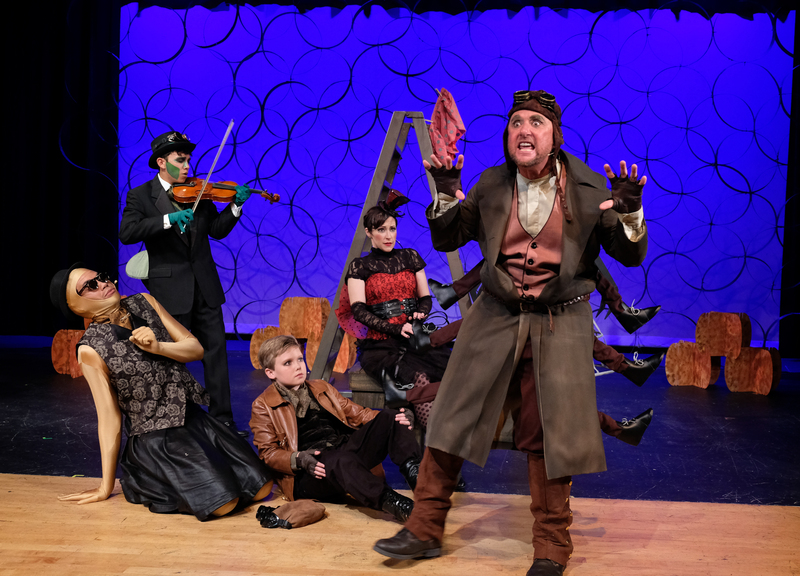 Coronado Playhouse is thrilled to once again partner with Pickwick Players for this co-production of James and the Giant Peach. Buy Tickets! OR Subscribe & Save! ase not yet available for this production. Reviews are not yet available for this production. DENISE BLASE (Ladybug) After a 10 year hiatus and recent move to San Diego, Denise is thrilled to be back on the stage. She has appeared in numerous musicals in the San Francisco Bay Area. Favorite roles include Peggy Sawyer in 42nd Street, Carrie in Carousel, Philia in A Funny Thing…Forum, Dainty June in Gypsy and Chava in Fiddler on the Roof. 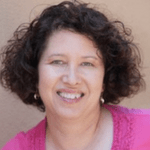 Denise has worked as a music director, accompanist and vocal coach for theatre productions, and is currently a teaching artist with San Diego Junior Theatre. She and her husband run a music enrichment program, California Music Works, bringing music and movement to preschool-aged children. She also teaches private piano and voice lessons out of her home studio in Golden Hill. Denise would like to thank her husband and two children for their love and support! SUE BOLAND (Sponge) In 1994 Sue moved to Coronado and joined the cast of Guest in the House at the Coronado Playhouse, the first of 6 Playhouse productions. Additional San Diego Credits include: Fiddler on the Roof, Meet Me in St. Louis, Cabaret, Grease, Stepping Out, My Fair Lady. Nunsense, Little Women, Pirates of Penzance, Guys and Dolls, Most Happy Fella, Ragtime, Damn Yankees, Oklahoma, Three Penny Opera, Sound of Music, Oliver and The Red Mill. With REGIONAL productions of Funny Girl, Cabaret, Barefoot in the Park, Music Man, and Man of La Mancha, to name just a few. Sue is a graduate of the Manhattan School of Music, NYC and is a retired CPA. 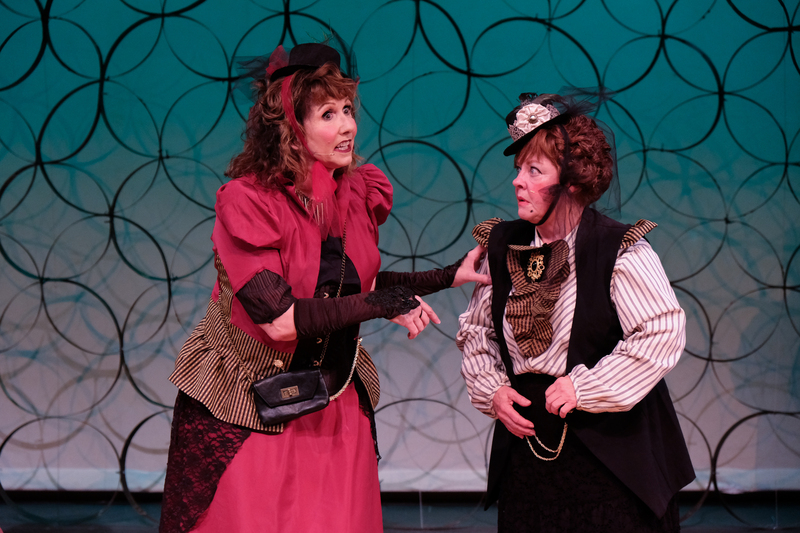 SUSAN BRAY (Spiker) is happy to return to the Coronado Playhouse stage after last appearing as the guitar-toting Bitsy Mae in Sordid Lives and before that as Charlotte in the award-winning A Little Night Music. She is looking forward to this wild ride and would like to thank Teri for the opportunity and her husband for all of his love and support!! 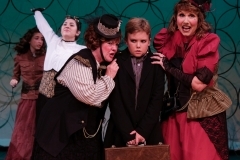 OLIVER CARO-WILCOX (Ensemble) feels just peachy to be returning to the Coronado Playhouse stage. He most recently was seen in his Blue Ribbon Award-winning portrayal of Bobby in A Chorus Line. 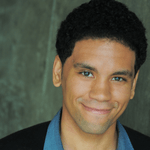 His other CPH credits include Seussical the Musical. 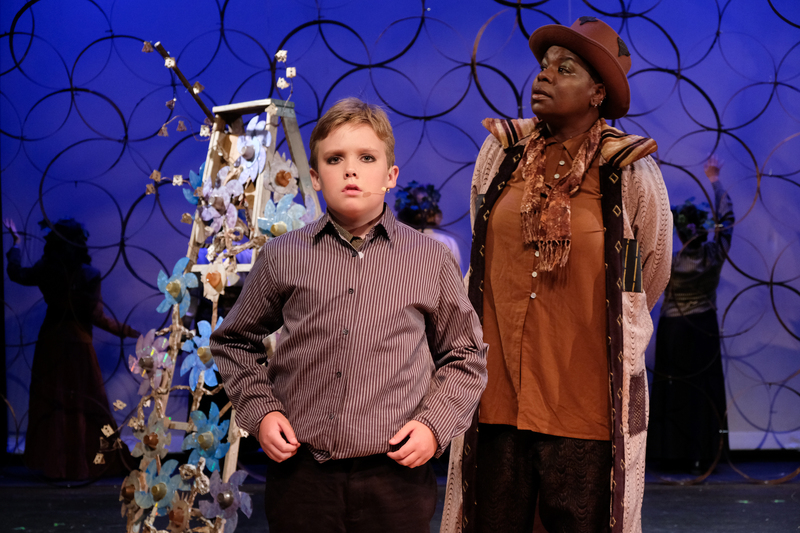 LUCAS GOODMAN (Green Grasshopper) is absolutely enthralled to be making his debut at the Coronado Playhouse!!! Some of his most recent productions include Oklahoma! 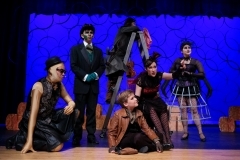 (Mira Costa College), Waiting for Godot (Patio Playhouse), and Into the Woods (Westview High School). 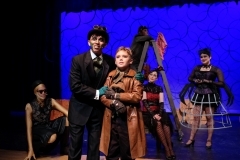 He is currently studying theatre at Mira Costa College and strives to pursue a professional acting career in the future! 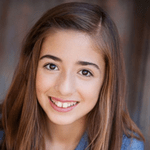 SOFIA GURROLA (Ensemble) is delighted to make her Coronado Playhouse debut in James and the Giant Peach! She has been involved in musical theatre since she was seven. Her favorite roles include Hope Langdon in Something’s Afoot! 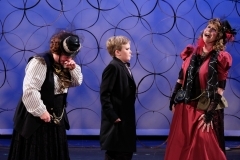 (Pickwick Players), Young Fiona in Shrek, Violet Beauregarde in Willy Wonka, Molly in Annie (CYT), and Duffy in Annie (CYC). Sofia thanks Teri, the artistic team, the cast, crew, her voice coach Karyn, and her family and friends for all their support. KIMBERLY KING (Ladahlord) is super jazzed to be making her Coronado Playhouse debut as Ladahlord in James and the Giant Peach! She has performed at the Moxie in San Diego, and appeared in two short films by Flatspace Studios. Kimberly is very proud to be completing her Master’s in Theatre Arts in May at SDSU- Go Aztecs! She is the proud parent of 3 wonderful performers, Zack, Lily and Imahi, and is ecstatic to have the support of such a wonderful, encouraging family! Kimberly is a San Diego native, and 20-year veteran teacher in South Bay and hopes all of her students come and enjoy the performance-because there will be a test on Monday! ZACK KING (Earthworm) Born and raised in San Diego, Zack King has been involved in the arts all his life. He began playing music and writing when he was young. He begin dancing in 2008. 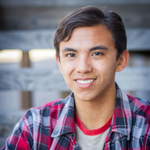 Versed in Hip Hop and modern dance, Zack is currently a dance major and a theater minor at San Diego State. Intrigued by the art of performance, Zack began acting in 2015. 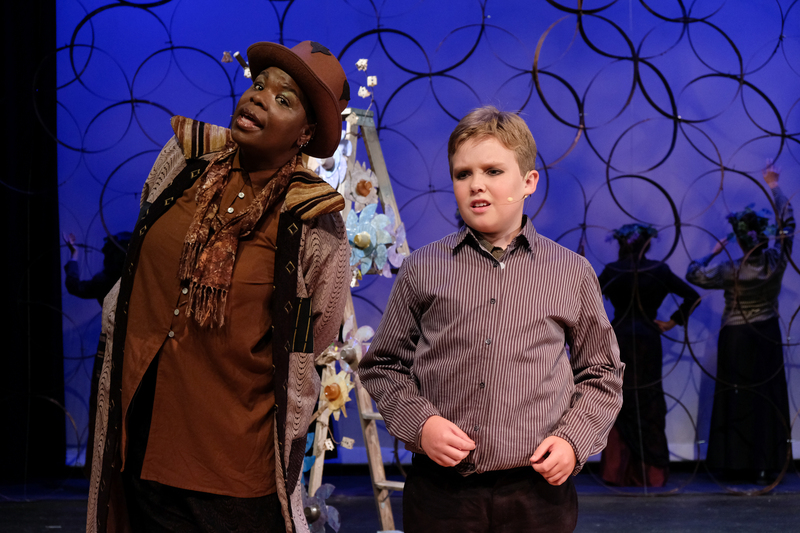 This is his first musical and he looks forward to exploring and refining the aspects of Earthworm that makes this character so much fun. 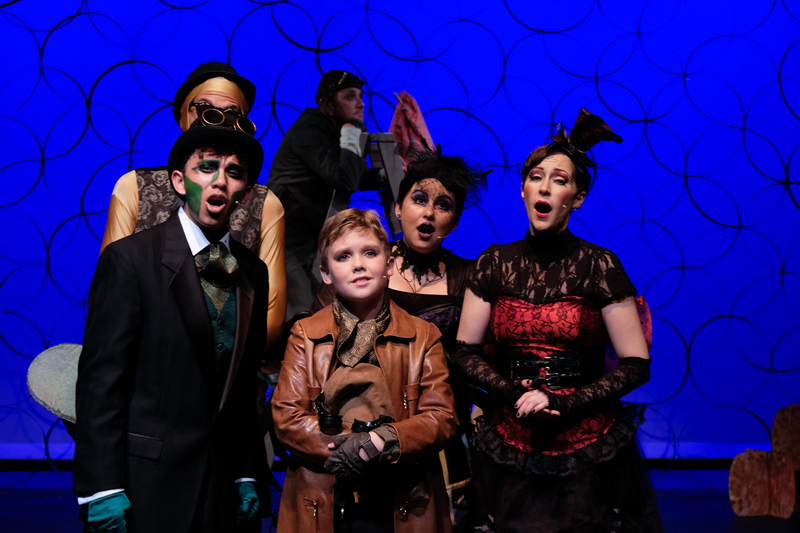 SKYLER JUDE MARKMAN (Ensemble) is thrilled to be back onstage after a four-year hiatus! 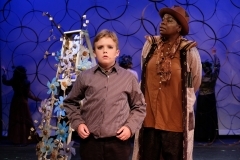 A Bay Area theatre native, Skyler was last seen as Amber VonTussle in Hairspray with Redwood City Community Theater. Other roles include Thea (Spring Awakening), Ellie Greenwich (Leader of the Pack), Kim MacAfee (Bye Bye Birdie), and Genie (Aladdin). They would like to thank the entire production team and cast for this experience, their family for the support, and fiancée “for reminding me why I do this”. Enjoy the show! BOB McMAINS (Centipede) For the past thirty years, Bob worked with teams to co-create and perform daily with the animals in Sea World shows. Shows include, jumping off Shamu in Shamu Celebration, New Friends, Dolphin Didcovery, Shamu’s World Focus, Shamu’s 25th Anniversary Celebration, Clyde and Seamores Spooky Kooky Castle, Sea Lion’s Live, and Sea Lion’s Tonight. San Diego native, Bob’s other performances include Friday Night Refugees at the Ruse Marquis Theater. From 6-18 years of age, Bob played the part of right hand man to his father at the family bakery, Standlee’s Cake and Party Shop. TARA BETH PALMER (Ensemble) is thrilled to be returning to the stage after more than a decade. 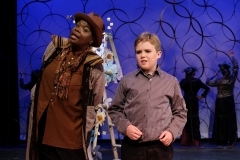 Favorite roles include Sheila in Hair, Sister Berta in A Sound of Music and Titania in A Midsummer Night’s Dream. During the day she works as a RN in the San Diego area. Many thanks to her husband Clay for the love and support. Also thanks to Karyn Overstreet Vocal Studios. She holds a BA in Theatre from The University of MD and an MFA in acting/music from the California Institute of the Arts. Thanks to the JATGP creative team and the cast and crew for the amazing experience. 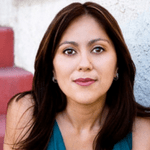 SANDRA RUIZ (Ensemble) is thrilled to be making her Coronado Playhouse debut. Local credits include: Bocón (Bocón: Community Arts Organization), Seven Spots on the Sun (Innermission Productions), Lydia (ion Theatre), The Motherf**ker with the Hat (Cygnet Theatre); In the Time of the Butterflies, Corridos REMIX, Earthquake Sun (San Diego Repertory Theatre); ENRON, Expecting Isabel (Moxie Theatre); Our Lady of the Tortilla (Onstage Playhouse); A Midsummer Night’s Dream (Mandell Weiss Theatre), 4.48 Psychosis (Galbriath Hall Theatre). 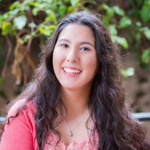 Born and raised in San Diego, Sandra received her BAs in Theatre and Human Development from UCSD. ALYSSA SALACUP (Ensemble) This is Alyssa’s 3rd show with Pickwick players and her debut at Coronado Playhouse! You may have seen her last as Blanche in Little Mary Sunshine or Charlotte in Charlotte’s Web. She’s very excited to be “Shaking It Up” for all of you! 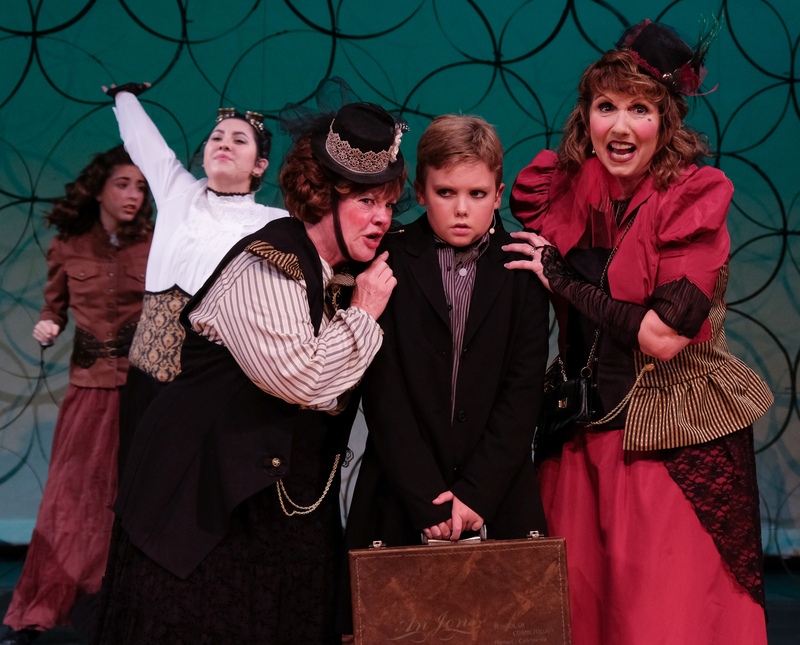 OWEN SCHMUTZ (James) is fired up to make one of his favorite characters come to life on stage in his debut with Coronado Playhouse! 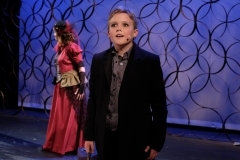 Credits include Young Tommy in The Who’s Tommy (OB Playhouse) Mr. Greenway and Charlie in Elf Jr (OB Playhouse), Ensemble in Ruthless (Moxie Theatre), Brundibar in the opera Brundibar, Clark U/S in All I Want For Christmas (Lambs Theatre) and Quaxo in CATS (Lyceum Theatre). 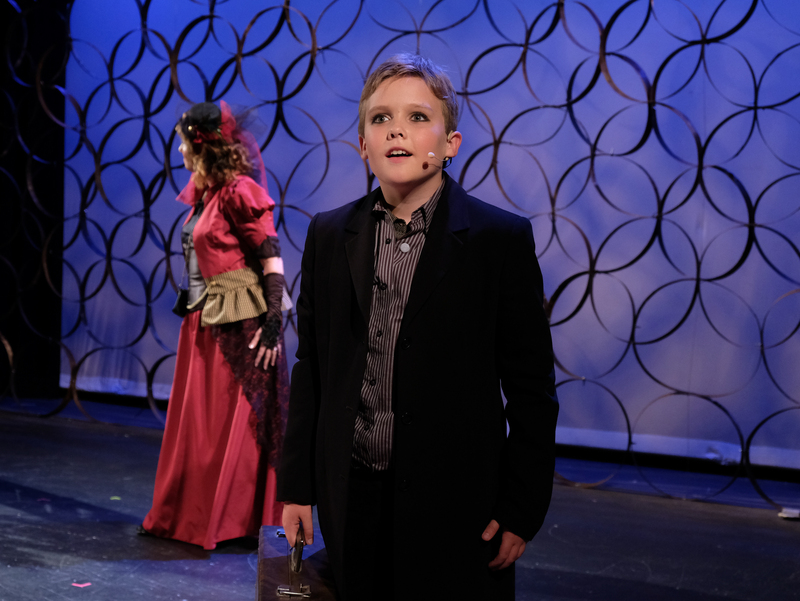 When he’s not acting Owen can be found singing in cabaret shows with Miss Leigh Scarritt’s Stars of the Future, or training in Musical Theatre Dance with Shirley Johnston. Both women have become truly important mentors in Owen’s life. 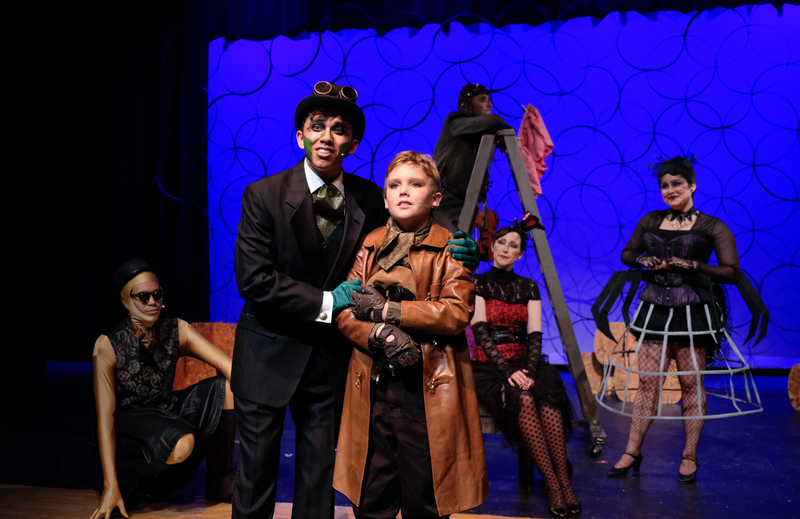 Many thanks to the wonderfully talented cast of James and the Giant Peach, to the beautiful Coronado Playhouse and to the dedicated direction from Teri Ang (director) Michael Anthony (musical director) and Alisa Williams (choreographer). 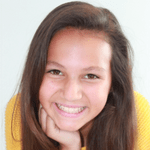 KENDALL SKYE (Ensemble) caught the theatre bug at the ripe old age of 6 when she was cast as a Lost Boy in CYT’s production of Peter Pan, and soon after as Annie. She later joined Visionary Youth Theatre and was cast for the role of JoJo in Seussical where she was awarded Outstanding Performance Best Female Actress. She then grabbed a cane and aged for the VYT role of Berthe in Pippin. 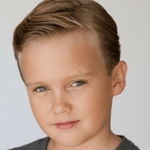 Professionally Kendall has performed with the San Diego Old Globe Theatre as Gymslip in How The Grinch Stole Christmas, and loves singing, dancing, and playing the guitar. 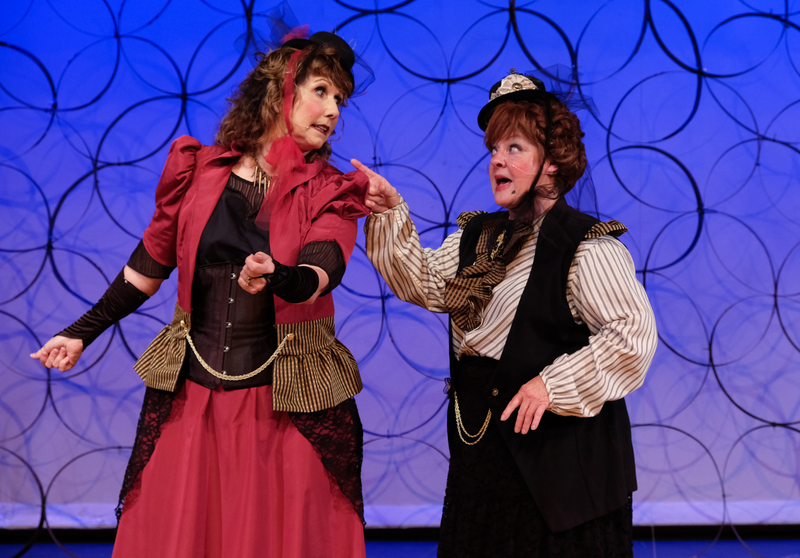 She’s very excited to be in her third performance with Pickwick Players after playing Maud in last summer’s Little Mary Sunshine, and Lettie in Something’s Afoot… Enjoy the show! KIRA VINE (Spider) is excited to make her debut at Coronado Playhouse. She is also a stage manager, writer, and director. 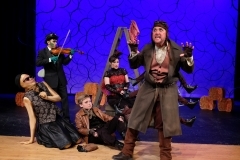 Favorite acting credits include The Taming of the Shrew, The 3.5 Star Musical, The Wizard of Oz (Dorothy), Fiddler on the Roof (Hodel), The Sound of Music (Liesl), and the U.S. premiere of Disney’s The Hunchback of Notre Dame at La Jolla Playhouse. Most recently, she was seen at OnStage Playhouse as Holly in Next Fall. Thanks and big love to the entire production team for this epic peach of a show. TERI ANG (Director) last directed Little Mary Sunshine at Pickwick Players over the summer 2016. She is excited to direct this co-production here at Coronado Playhouse. Her most recent directing gig was Lyle, the Crocodile at San Diego Junior Theatre where she has directed numerous productions. By day, Teri is a theatre teacher at Horace Mann Middle school. Theatre education has been a passion of hers for over 30 years. 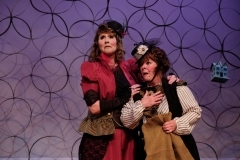 Teri is activity involved in San Diego Theatre Educators Alliance (SDTEA) and community theatre around San Diego. MICHAEL ANTHONY (Music Director) is thrilled to return to the CPH after rousing successes with Seussical and Thoroughly Modern Millie last season. 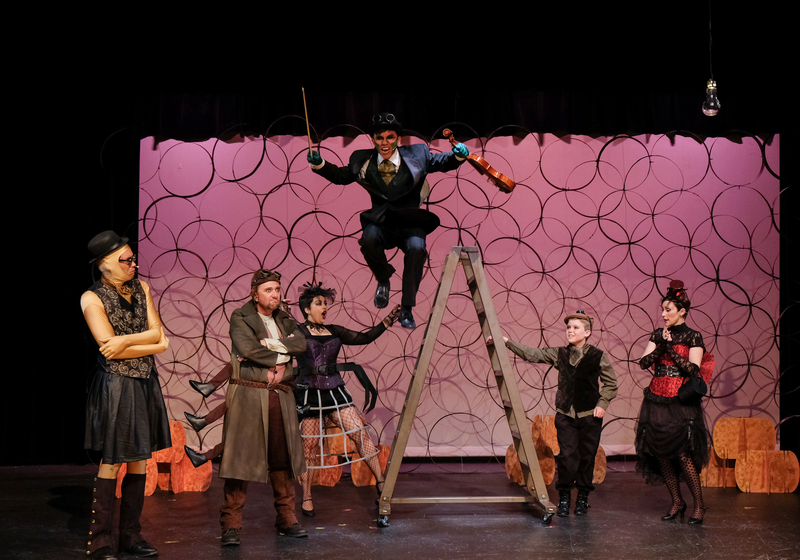 He has served as a conductor, director, educator, and performer with many local theaters including: Old Globe Theatre, San Diego Junior Theatre, Moonlight Stage Productions, J Company, Diversionary, Joan Kroc Performing Arts Initiative, and Starlight Theater. 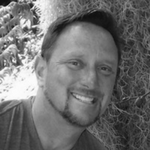 Mike holds degrees in Music Education (U of M), and Musical Theater (Boston Conservatory) and has played keyboards for national/regional tours of A Chorus Line, Showboat, Bells are Ringing, Little Shop of Horrors, A Greater Tuna Christmas, among others. He currently serves as an educator for the Joan Kroc Performing Arts Initiative, Broadway Arts Academy and CA State Arts Board. 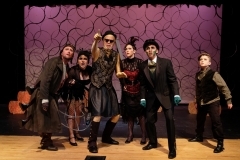 Awards include, NYTA’S Best Director (2004-2007), Twin Cities Drama Critics Circle (Performer), San Diego Billie Award (1999-2009) and AATE’S Special Merit for The Lorax and an Aubrey Award Nominee. A cancer survivor, Mr. Anthony feels blessed to return to his passion, thanking his SD family for their continued love and encouragement. 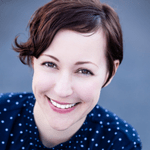 ALISA WILLIAMS (Choreographer) is thrilled to be working with Coronado and Pickwick again. She serves on the Pickwick Players Board as Vice President and has been choreographing and performing in shows for over 20 years. 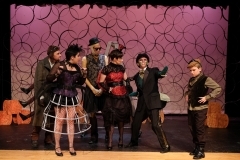 Favorites include Cabaret, Zombie Prom, and A Taffeta Christmas. Her choreography has also been seen at Pickwick Players, Coronado Playhouse, OnStage Playhouse, PowPAC, Lamplighters and Scripps Ranch Theatre. Thank you to Teri, Kathy, this amazingly fun cast and team. Special thanks to dance captains – Kendall, Skyler and Oliver. xo Love to C, B, and J and FandF. 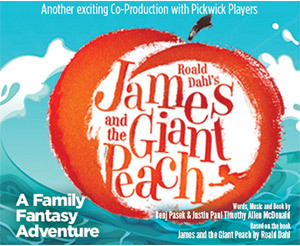 HEATHER DEERFIELD (Co-Producer, Pickwick Players) is excited to be co-producing James and the Giant Peach. You may be familiar with her on stage endeavors as well. She most recently played Ma Strong in Urinetown the Musical at OB Playhouse, Miss Tweed in Pickwick Player’s production of Something’s Afoot, and Latrelle in Sordid Lives at Coronado Playhouse. Heather is a proud member of the Pickwick Player’s Board of Directors. A big thank you to co-producer Katy, director Teri, and the James and the Giant Peach production team and cast for all your hard work and dedication! 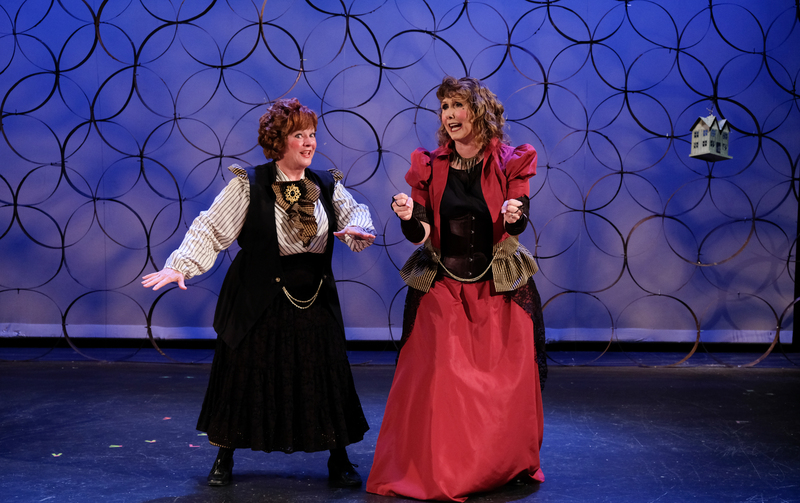 KATY SKYRUD (Co-Producer, Coronado Playhouse) is delighted to be working with Heather and Teri for the first time, and having fun putting this production together with such a great production team and talented cast. 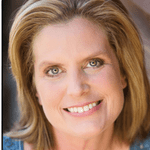 Recent Producer credits include The 39 Steps and Seussical, with director Desha Crownover, and co-producer with fellow board member Barron Henzel on many award-winning productions at CPH such as The IT Girl, The Drowsy Chaperone, Cinderella, Sherlock Holmes, TBLWIT, and Sugar. Other Producer credits at CPH include Sleeping Beauty, Mistletoe, Music & Mayhem and A Year with Frog and Toad. She would like to thank her family for always there. KATHY PARKS (Stage Manager) is excited to be working on her second collaborative production with Coronado Playhouse and Pickwick Players. She has worked backstage on several shows for both companies and also with Trinity Theatre Company. Thank you to Teri Ang for her kind and fun leadership. Enjoy the show! 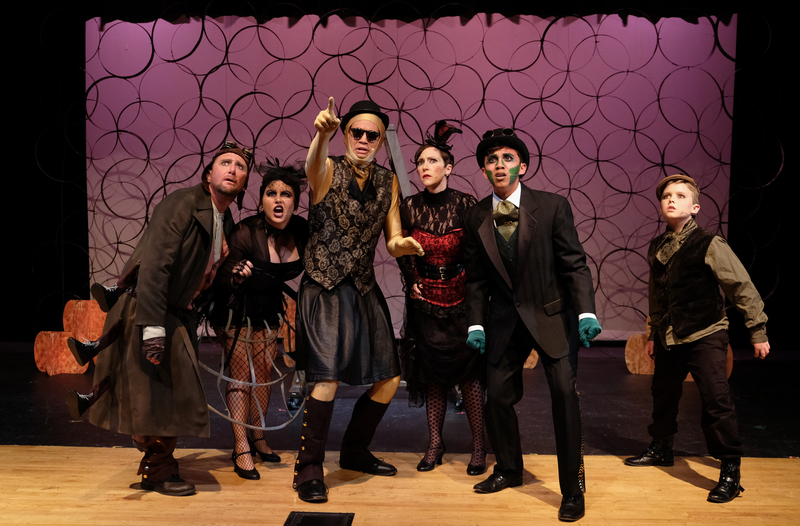 KIRSTEN GIARD (Set Designer, Co-Light Designer) taught Theatre at Valhalla High School in the Grossmont District from 1991 to 2014 and is currently the theatre teacher for IDEA Center High School in El Cajon. 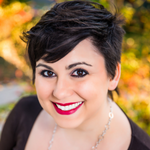 She has a BA in Theatre and a Masters in Theatre Design from Southern Oregon University. She works as a teaching artist with La Jolla Playhouse teaching Technical Theatre to incarcerated youth, as well as their Young Performers Workshop Technical Theatre Intensive. 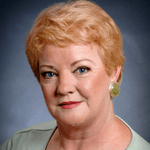 She co-founded the San Diego Educational Theatre Association in 1996 and has served on their board since. 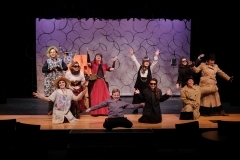 Ms. Giard mentors a variety of theatre teachers at all grade levels and is co-owner/presenter of Survivor Theatre Teacher Edition Theatre Teacher Workshops. 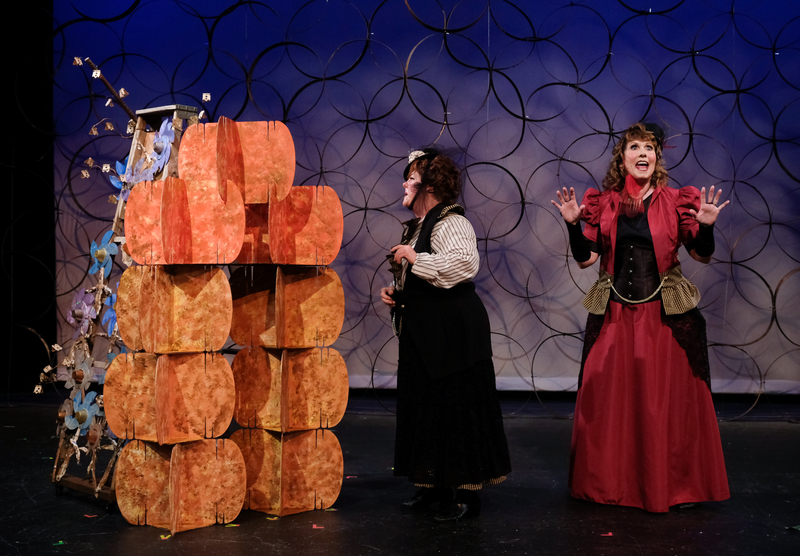 ACT Theatre Credits: Mack and Mabel, Lamplighters Community Theatre (Co-director, Set Design), Sordid Lives, Coronado Playhouse (Set Design), Little Mary Sunshine, Pickwick Players (Set Design), They’re Playing Our Song, Lamplighters Community Theatre (Set Design). BEVERLEY CLAAR (Co-Lighting Designer) has been involved in theatre production for the past 27 years. She served as Production Manager at East County Performing Arts Center as well as working at 3D Lighting. 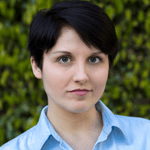 Currently she works as Technical Director and Lighting Designer for West Hills High School, Valhalla High School and Steele Canyon High School. LAURA SUTTON (Costume, Hair & Make-Up Designer) The many years creating costumes and sewing for school theatre programs segued into designing for Community Theatre. I have had the pleasure of working with Lamplighters Theatre and now Pickwick Players and Coronado Playhouse for this amazing show. 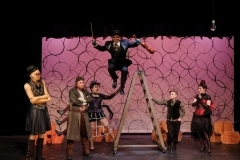 Seeing the designs and ideas for James and the Giant Peach come to life has been energizing and fulfilling. 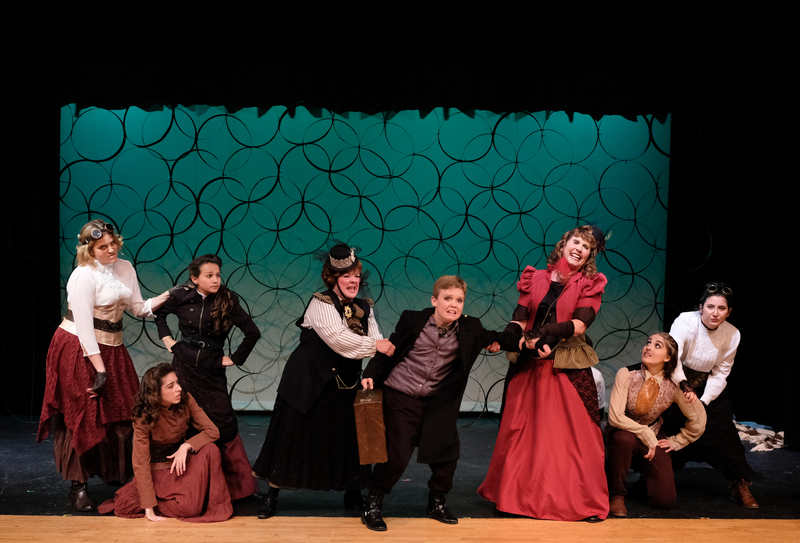 Designing this show has been a joy especially with my daughter, Kaylynn assisting in the creative designs and bringing her expert construction skills to the process. Very special thanks to my husband Patrick for all of the foam creations! 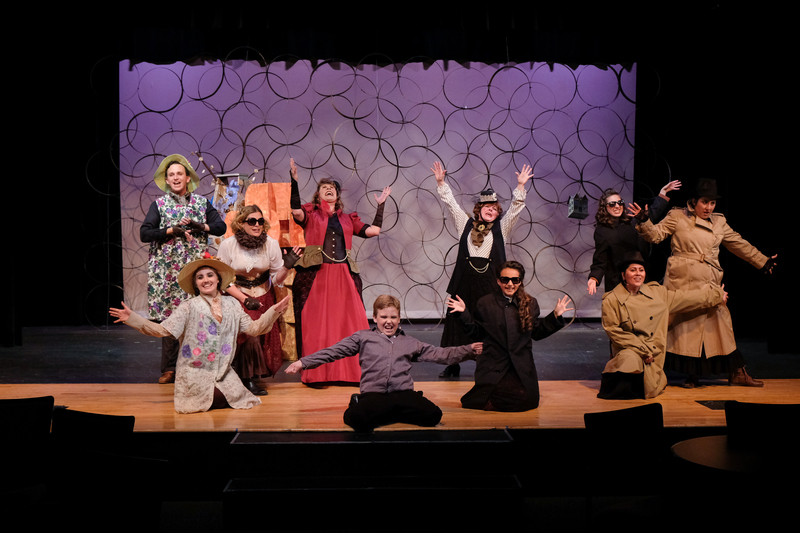 PAM EVERETT (Properties Designer/House Dressing/Set Dressing) is thrilled to be the Resident Properties Designer at CPH and to have the opportunity it affords to work with this amazing production staff and cast! 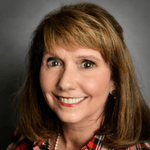 Pam has been with CPH for 12 years assisting with too many shows to list and has received numerous Blue Ribbon and Act Awards over the years. In May, Pam received a 2017 Star Award from the San Diego Performing Arts League for volunteerism with CPH. Thank you to the Board and everyone involved at CPH for this great honor. Thank you to my wonderful loving family, Dennis and Amanda for enabling me, putting up with me (and the mess at home) and for their assistance in making everything happen. LYNNE JENNINGS (Puppet Designer) has 40+ years experience in puppetry: as a designer, builder, teaching artist, writer, consultant, presenter, performer, festival director and board member of several national puppetry organizations. She is the executive director of the San Diego Guild of Puppetry, and has served as a consultant on and built puppets for a number of schools and local theatres including Cygnet, La Jolla Playhouse, Scripps Ranch, Diversionary, Mo’olelo, Junior Theatre and San Diego Opera. Friday, June 9, 2017 at 5:30 p.m.
Community Theatre is made by, with and for the community in which it is performed. Coronado Playhouse is committed to pursuing community theatre in the truest sense of the words by giving back to the people of San Diego County and using our public platform to help those in need. 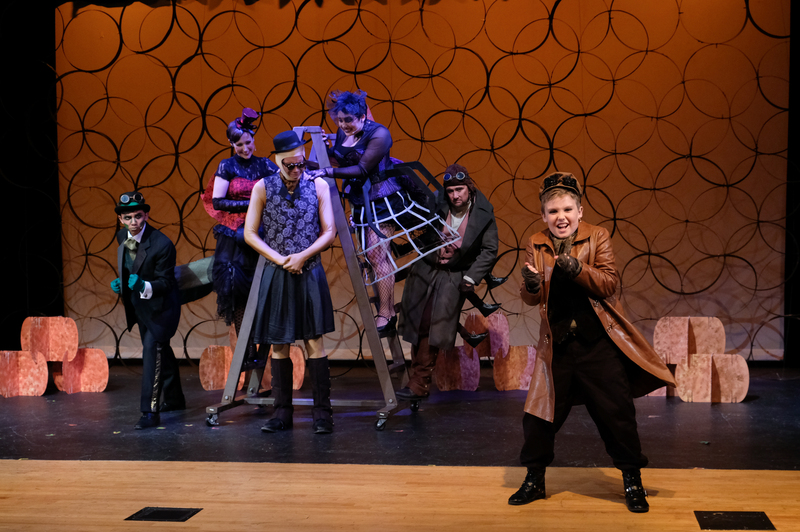 During the run of James and the Giant Peach we are partnering with United Way of San Diego County in an effort to bring much needed exposure and donations to this incredible organization.